Attention! Before installing the client in Steam, the game should already be registered on the account, and the client Steam - closed. 1. Run the file SteamInstallHelper.exe and follow the instructions. Content uploaded on January 31, 2014, and is identical to the licensed version Games distributed in Steam. Comics "Tomb Raider: The Beginning"
No need for third-party installers and updates. Game content packaged in a simple installer with little compression. Tomb Raider - one of the brightest projects spring 2013, marking the revival of the well-known cycle of video games about the adventures of treasure hunter Lara Croft, which traces its history to 1996.
game tells about the way to becoming a famous heroine, revealing its nature and allowing to trace the evolution of her personality . This is a truly adult permeated psychological history, which keeps in suspense until the very end. 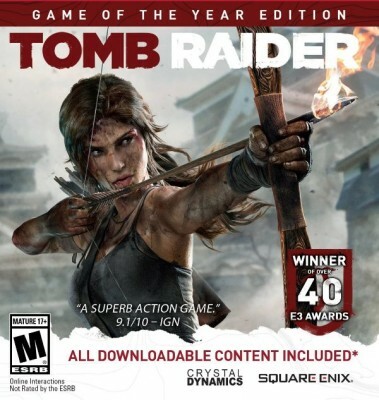 Rapid fight with the enemies - and melee, and the use of weapons, the ability to use the shelter, interesting puzzles need to explore the world, as well as role-playing elements aimed at development capabilities heroine - Tomb Raider gameplay is diverse and fascinating. 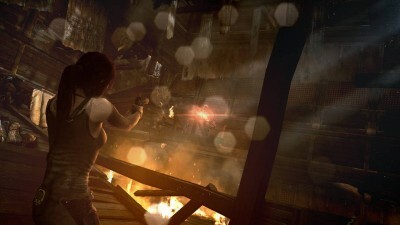 first time in history a series of Tomb Raider game in multiplayer mode is implemented. Split into teams, players can compete in agility and accuracy. Sharpness and unusual gameplay will give the opportunity to use a variety of weapons in addition to the trap.